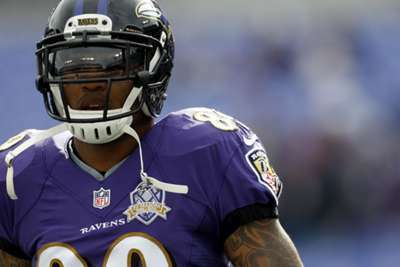 Steve Smith Sr has revealed his battle with depression during his NFL career, saying he "routinely felt trapped, inferior and alone". The retired wide receiver has written a piece for the league's official website, titled "My personal battle with depression", in which he detailed his mental health struggles that date back to the early years of his career. Smith said he felt "mentally, physically and emotionally broken" despite success on and off the field during 13 seasons with the Carolina Panthers and three with the Baltimore Ravens. Noting the suicides of Kate Spade and Anthony Bourdain that shocked the world in early June, Smith commended retired safety Brian Dawkins for touching on the subject during his enshrinement speech at the Pro Football Hall of Fame induction ceremony last weekend. "Now more than ever, it's important to be honest about mental health," Smith wrote. "The first time I stepped into a counselling session was in 2002, when I saw a sports psychologist. I was able to retain what helped me reach my peak performance and able to get in the zone, shutting out the noise and negative thoughts on the field. "I did that with flying colors, but I wasn't able to grasp that concept in my life outside of the game. I couldn't quiet the noise and negative thoughts in my mind. "It wasn't until I stepped away from the game at the end of the 2016 NFL season that I really began to take ownership and understand my personal journey with depression. "One common question I contemplated through the highs and lows was simple, but felt so complex: 'What's wrong with me?'" Revealing how he now "finally feels free", Smith continued: "Generally, throughout much of my life, unhappiness, constant self-criticism and an inability to let old blunders go weighed so heavily on my mind. "I can recall hundreds of these moments, on and off the gridiron, when I felt inept. It really took a toll on my mental state. "In 2013, my final year in Carolina, I hit a point where I was so overwhelmed that I wasn't sure what to do or how to handle my emotions. Small things in my daily life impacted me in a big way, and I was a cynic of everything and everyone. "It was at that point I decided - with hesitancy - to try counselling for non-football related matters for the first time in my life." "I continued counselling sessions when I got to Baltimore the following year. I saw small changes in myself, but even more, I started seeing all my flaws. That's a hard thing to accept for anyone. "After tearing my Achilles midway through what was to be my final season, I remember sitting in the hospital bed recalling dropped passes from 10 years prior. Mind you, at the time of my injury, I needed just 49 catches to hit 1,000 for my career. 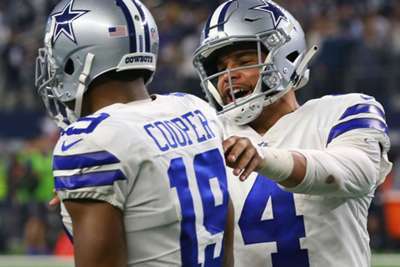 "But now, a year and a half has passed since my last NFL game, and for the first time in my life, I finally feel free."